Looking to play a Championship Course, designed by two of Canada`s most renowned golf architects? 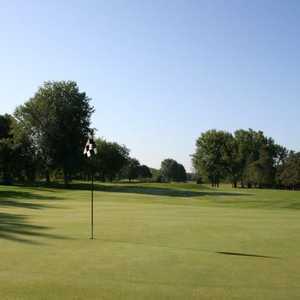 The Bay of Quinte Golf and Country Club offers a par 71 course that was designed by Robbie Robinson and Howard Watson. Over the years we have hosted numerous national and provincial championships; in July 2011 the Bay of Quinte will be hosting the Ontario Provincial Junior Championship Tournament. The Bay of Quinte Golf and Country Club is a parkland course, with a natural setting amidst trees, mosses, ferns and grasses; it is a welcoming environment for both golfers and wildlife! In 2010, the course was fully renovated. Tee off from our new tees, but try to avoid our new white sand bunkers. Definitely avoid the new ponds! If you have not played the Bay of Quinte recently, you will enjoy the newly designed 5th, 7th and 9th holes. There are no Gimmie Golf packages available for Bay Of Quinte Golf & Country Club at this time. Click here to sign up and get notifications when these packages become available. There are no discount green fees available for Bay Of Quinte Golf & Country Club at this time. Click here to sign up and get notifications when these packages become available.